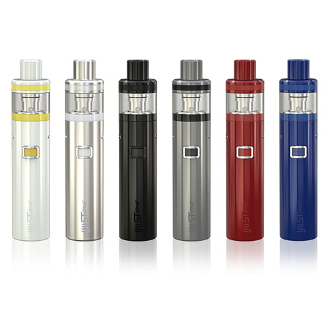 Eleaf has made a all in one (AIO) styled device that includes a 2ml tank and a 1100mAh Battery in a tube like shape. It uses a single button to operate and is very easy to handle!. They are paired with the ever popular EC Coils that boost flavor and vapor with each hit. This device can be used for both VG and PG liquids depending on your coil ohm and has the power to give the best side of liquid mixes. Note: The EC Sleeve Adapter is preinstalled with the included 0.75 ohm GS Air Coil. Please do NOT discard the EC Sleeve Adapter as it is a reusable item and is not sold separately.